Last minute cramming, piles of review packets, tons of practice tests....sound familiar? 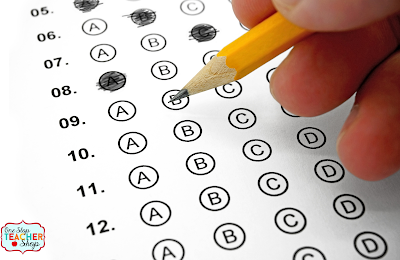 Preparing for standardized tests is something we all must face in upper elementary, but it doesn't have to be a horrible experience for everyone involved! 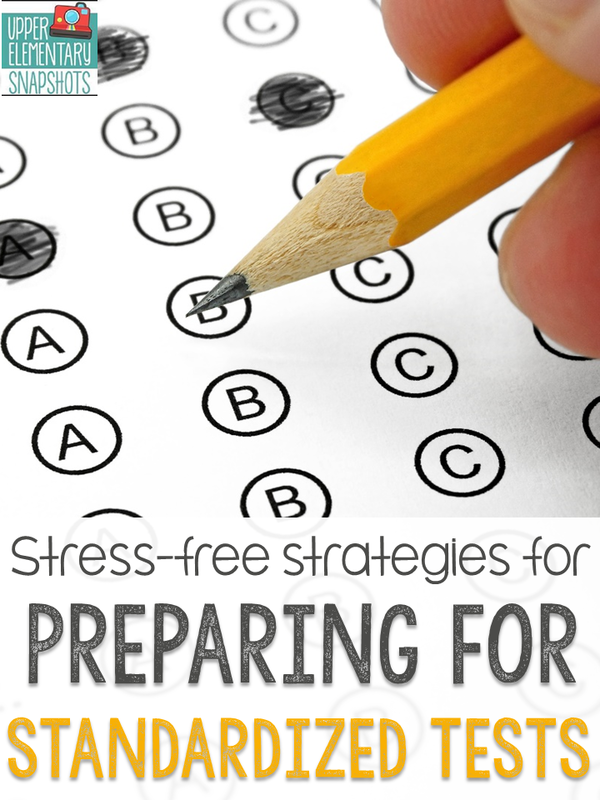 If you start early enough (why I'm writing this post in January) test-prep stress can be a thing of the past in your classroom. 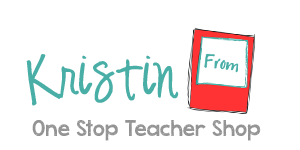 Here are some tips and strategies that have worked year after year in my own classroom. As early as I can each year, I begin teaching testing strategies. I don't cram them all into one lesson, but instead, I take my time and teach them just like I would anything else: Model, Guide, Practice. By the middle of the year, my students use test-taking strategies naturally. It isn't something I have to continue to remind them to do...they just do it. 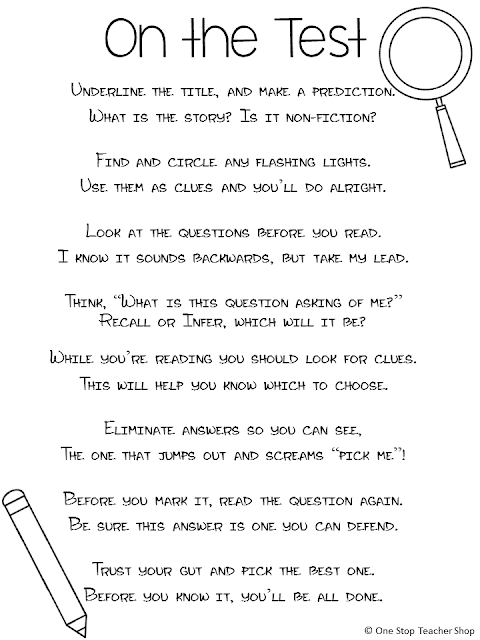 Here is a fun "Testing Strategies Rap" I use to teach my students throughout the year. If you begin incorporating them into your instruction now, they will master them in no time! There are always a handful of students that seem to need your help with everything they do. They are the same students that have multiple questions each time they take a test. From now on, don't be so quick to answer their questions. Encourage them to stay seated and figure it out for themselves. If necessary, just give them some encouraging words like, "I know you can solve this problem on your own. Just use what you know." This will get your students used to the idea that you will not always be able to help them, and they will start to depend on their own thinking more. No matter how well you taught fractions two months ago, you are always going to have students that seem to forget everything you have already taught. Am I right, or am I right? 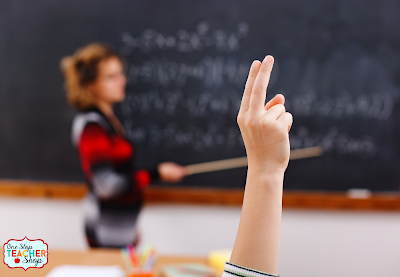 Incorporating review activities into your daily routine is such a CRITICAL component of preparing for standardized tests without all the stress. This is actually something I recommend doing from day 1, but it is never too late to start. Here are some tips for getting in extra review without your students even knowing it. Morning Work - This is the perfect time of day to throw a few review problems on the front board for your students to complete. I try to have 4-6 problems each day, with a majority of them being a review. Most of my class assessments are short...maybe 10-15 questions. This is the perfect time of year to start incorporating longer tests. Slowly increase the number of questions your students are required to answer in one sitting until it is similar in length to a typical standardized test. This will help your students practice their focusing skills and give them the confidence to know they CAN do it! Just be careful not to overdo it. I hope these tips will help you prepare for the "big test" without the stress of traditional test-prep. My biggest piece of advice is "Don't Panic!" Trust your teaching and know that you are doing the best you can. 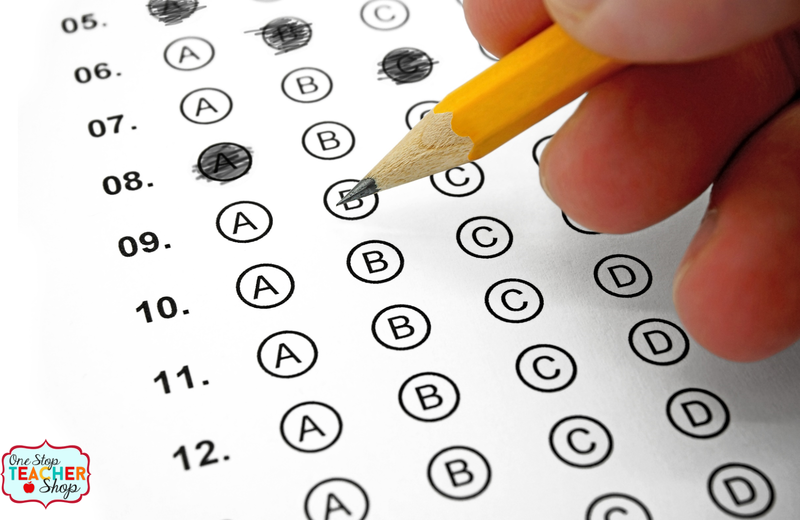 Stressing out over one test is not a good thing for you or your students.